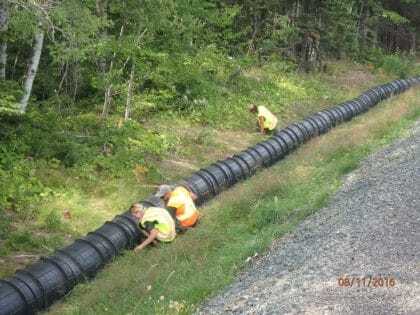 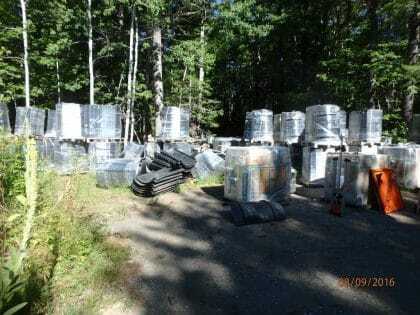 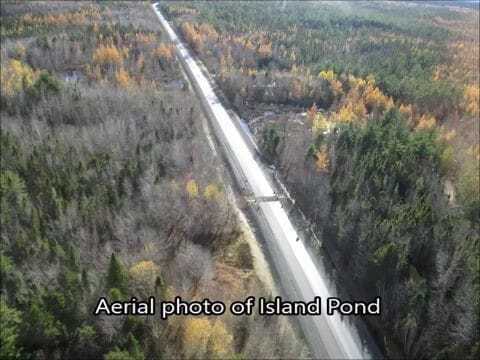 Eco-Kare worked with Parks Canada at Kouchibouguac National Park to implement a functioning wildlife mitigation system on a road re-surfacing project along 16 km of highway. 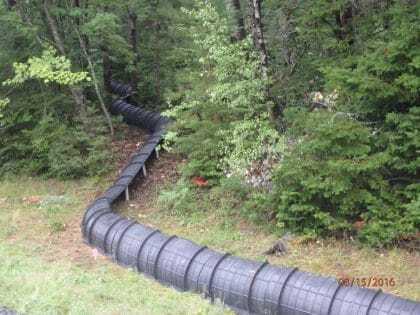 Eco-Kare advised on crossing structure design and associated fencing materials. 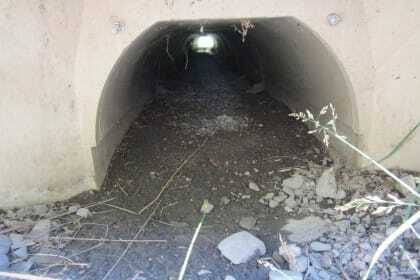 Subsequently, in the fall of 2015 four ACO surface-grade tunnels and dedicated wildlife round concrete tunnels were installed along the highway and bike path. 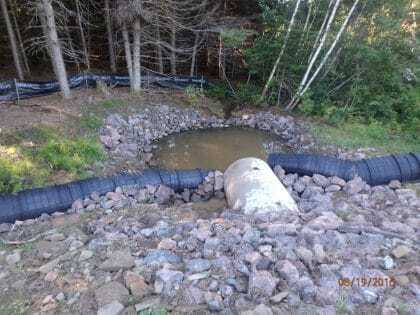 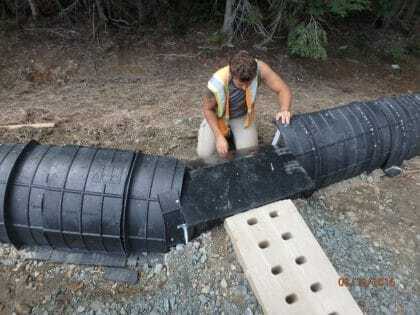 Then, 3.2 km of ACO wildlife exclusion fencing for amphibians and Wood turtles was installed along Highway 117; of which the Eco-Kare team installed 2.0 km of ACO fence connecting the wildlife tunnels and drainage culverts in August 2016. 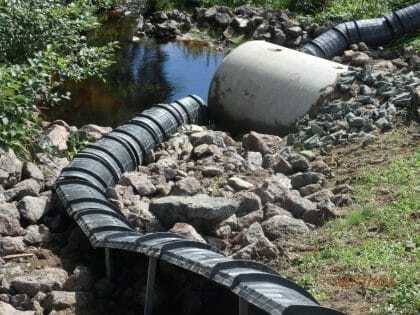 Eco-Kare then submitted a monitoring plan for the system and there are plans are to monitor the tunnels in 2017 with the University of New Brunswick.